Material: Top-grain leather / eco-leather back. 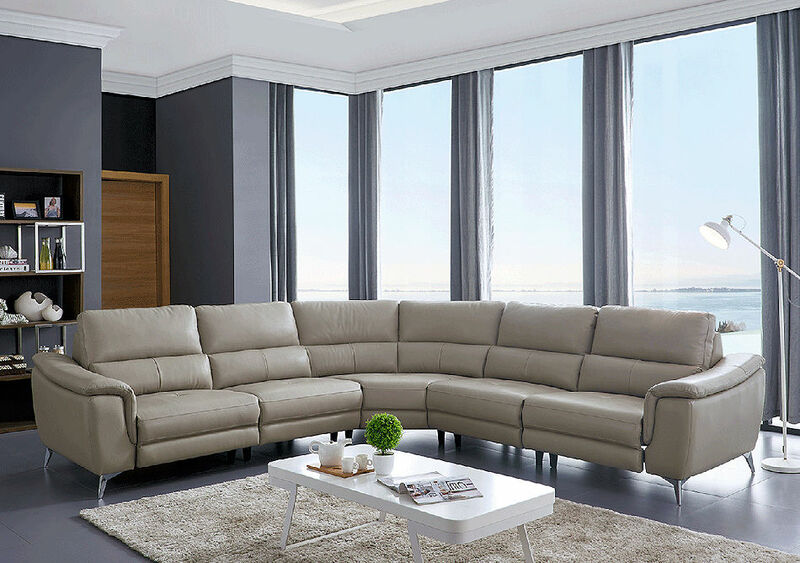 $ 3,995 - #95 sectional in Light Grey leather. 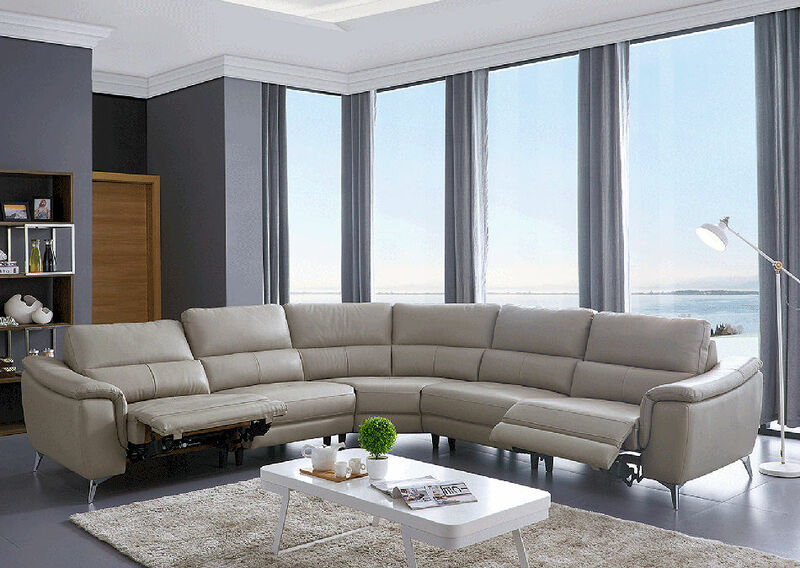 This sectional with 2 electric recliners in modern style will be easily combined with any modern home environment.